Are you unsure if your home’s roof needs to be repaired or replaced? Do you wish you had a roofing contractor you could trust to do a proper assessment of your roof’s needs? In Edmond Oklahoma look no further than the licensed, bonded, and fully insured experts at TRS Roofing. 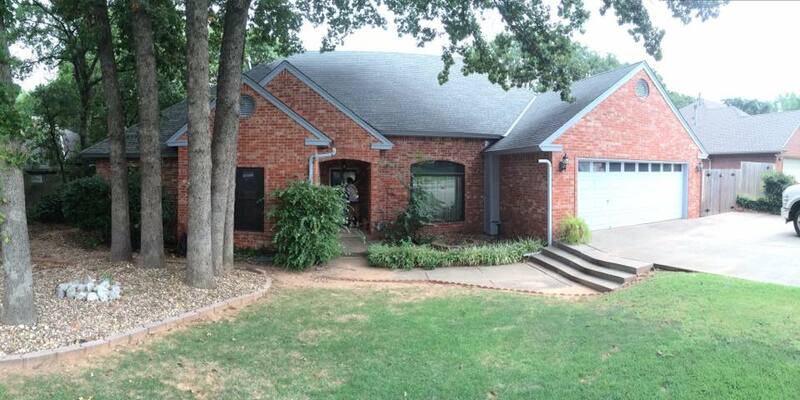 We are your Edmond Roofing Company with 20 years of experience who are A+ BBB rated. We believe our reputation for great customer service and high-quality workmanship helped our company get us to where we are today. We take pride in all of our roofing work and promise to give you the highest quality experience, from the moment you contact us, to the time we clean up after your roofing work is completed. We understand how important your home and the comfort and safety of your family is to you. That’s why we train our professionals in a wide range of roofing services, ensuring you the best when it comes to your roofing installation. If you are in need of roof repairs or you are looking to purchase a new roof, contact us. Should your home or commercial property receive damage from one of our many storms and you need emergency roofing assistance call us. We are there for you when you need a roofing professional. If you suspect roofing damage, our inspection team can assess your roof, giving you an expert and honest opinion as to what the next best step will be for your roof. Over time, even a well-maintained roof will begin to break down and need repairs. Many homeowners fall into the trap of delaying roof replacement, instead opting for frequent repairs–which can add up to be more costly than a full roof replacement in only a few short years. If your roof is over 20 years old, replacing your roof will often be a more prudent financial decision than making make-shift repairs. If you need an Edmond Roofing Company with a proven track record contact the experts at TRS Roofing.